Who are the Mainstream Health Professionals who Recognize Alkaline Water Benefits Health? 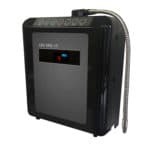 Mainstream health professionals recognize that alkaline water has benefits health. It’s easy to find alternative health practitioners and celebrity doctors that tout alkaline water. But not all of these alternative health practitioners are recognized by mainstream medicine as holding legitimate medical opinions. Because of this skepticism is the prevailing opinion of some doctors and scientists. But that may finally be changing, as some mainstream health experts are beginning to suggest that alkaline water may have benefits. Most notably for things like bone health, acid reflux, ph balance, and hydration. In the first study, male cyclists were subjected to a dehydrating bout of cycling. Their blood viscosity was then measured. The group that drank alkaline water hydrated faster and more thoroughly than the group that drank plain water. In the second study, 38 people were divided into two groups. Both groups had their urine and blood pH tested. One group drank plain water. The other group drank alkaline water. The group that drank alkaline water had higher blood and urine pH than the second group that drank plain water. What does she mean? There are some studies that have shown that alkaline water lowers the two markers of bone loss. Bone loss markers are enzymes that doctors use to measure bone loss in patients. Further investigation is needed. Scientists want to confirm that these reduced markers of bone loss result in the maintenance higher bone density over the long term. Studies like these would take about 5 years to complete. Further research has been conducted, and it has shown that alkaline water does have promise as a way to maintain bone density. But we are still waiting for a 5 year study on alkaline water and bone density. She also said that there have been studies that found that alkaline water may help people with acid reflux. Plus she said that it may help maintain bone density. Update: Further research on alkaline water for acid reflux has been conducted. 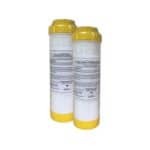 It has confirmed that alkaline water benefits acid reflux sufferers. 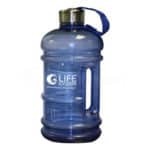 It has been shown that alkaline water neutralizes pepsin, the enzyme that triggers the painful burning of acid reflux. Notably, a follow up on the study has shown that eating a sensible diet and drinking alkaline water is as effective against acid reflux as PPI medications. Researchers used both of those indicators to see if alkaline water made a difference in two specific ways that doctors use to estimate bone loss. They found that it had a positive effect on both indicators. The results of those studies suggested that alkaline water may slow bone loss. But as Katherine Zeratsky said, more research is needed. As mentioned earlier in this article, that additional research would be a five year study comparing people with similar lifestyles: One group would drink alkaline water, the other group would drink plain water. Doctors would then compare bone density in both groups after five years. Untrustworthy medical advice is often given by “celebrity” doctors such as Dr. Mercola. Dotors like Mercola have something to gain from the advice they gave. It’s easy to spot fakers like Mercola: They don’t have actual medical practices. All they do is give advice and sell products. If a celebrity doctor makes sweeping broad health claims for or against any product, watch out. 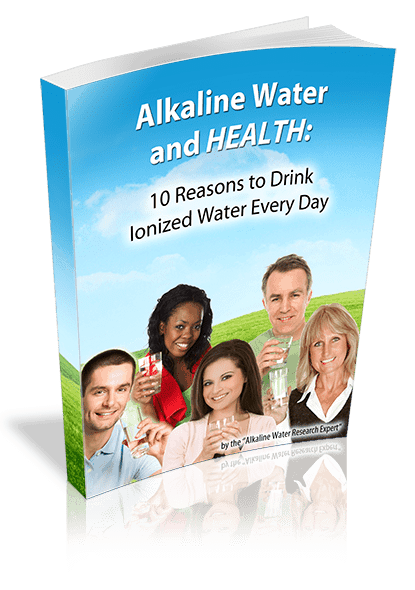 We here at Life Ionizers believe strongly that alkaline water is good for your health. We would love to see a long term study done on alkaline water for bone health. We would be willing to support that kind of research in any way we could. Alkaline water has shown promise in many studies. But long term research is needed to verify the results of much of the work done so far. As alkaline water becomes more popular, we can hope that the health benefits demonstrated so far will finally be confirmed. Then alkaline water can take its rightful place as part of a healthy diet for people the world around. Want to learn more about Mainstream Health Professionals who Recognize Alkaline Water Benefits Health? PrevPreviousCan you drink Alkaline Water Every Day?